Marcello Blanco is a senior who has attended Faith since 6th grade, and has been a part of News Broadcasting since 8th grade. 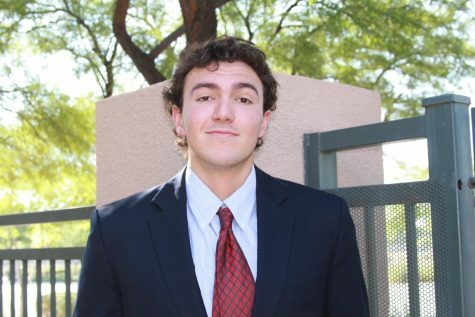 He is the sports editor for the Crusader Chronicle, and also anchors for the weekly news and live sporting events. Marcello is a captain, all-state member, and state champion for the varsity lacrosse team, and enjoys lifting weights, reading books, listening to podcasts, and going into nature in his spare time. He would love to eventually open and run his own gym, and maybe even try to represent Canada on the Olympic Stage someday.